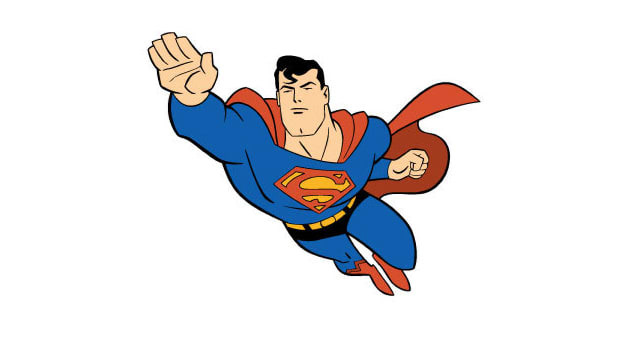 Blog: Employers want Superman, not Spiderman! What's the difference between the two apart from the fact that they both are superheroes but with different characters and characteristics? Well, let me tell you, Superman was 'born' Superman, whereas Spiderman was 'created'. Yes, you read the title just right! Just as a ‘character’ defines an individual, ‘characteristics’ matter at the workplace, in organizations. And it all depends on what kind of a character one is portraying. You must be thinking what’s the difference between a Superman and Spiderman apart from the fact that they both are superheroes but with different characters and characteristics? Well, let me tell you, Superman was ‘born’ Superman, whereas Spiderman was ‘created’. And there is a difference between having innate qualities and, well, having qualities that have been infused into you, which can come and go (depending on external factors). While Spiderman on the other hand, got bitten by a radioactive spider at a science exhibit! And that’s how he became Spiderman — it took a series of events to happen for him to become one. Efforts are hard to make, the process is long-term and the returns are, well, somewhere in the future! So, what else is there that organizations doing to really develop their employees? Is dissemination of information enough? How are organizations measuring that the trainings etc. are actually supporting or developing people? I recently stumbled on some literature of an investment banking firm for multi-millionaires. With some digging on Glassdoor, I went through the employee reviews. And this is what I found! The organization though super successful suffered from huge attrition rates, it had a culture that was termed as a ‘cult’ by ex-employees and had untenable management principles set in stone by the CEO who wants his employees to follow them religiously; along with principles that clearly define what and how an employee should prove his competency on. A few of the principles are outlined below to get Superheroes in the organization. First, match the person to the design. Look for people who are willing to look at themselves objectively and have character. Conceptual thinking and common sense are required in order to assign someone the responsibility for achieving goals (as distinct from tasks). Recognize that the inevitable responsible party is the person who bears the consequences of what is done. The most important responsible parties are those who are most responsible for the goals, outcomes, and machines (they are those higher in the pyramid). Choose those who understand the difference between goals and tasks to run things. Recognize that People Are Built Very Differently — Think about their very different values, abilities, and skills. Understand what each person who works for you is like so that you know what to expect from them. Remember that people who see things and think one way often have difficulty communicating and relating to people who see things and think another way. Pay for the person, not for the job. But my question is: Can TA leaders/hiring managers truly do this? Is there bandwidth or the competency to do this? Won’t this require the managers to be superheroes themselves to be able to hire another stack of superheroes? So what is the realistic expectation out of employees these days? In a business ecosystem of born innovators, how much are experimentation and learning and development making a difference? Is L&D making a difference at all? Or is this is new fad? — to only hunt for superheroes? I did most of my learning on the job. And I have truly admired people who have given me a chance to learn on the job! But somehow, I do feel that this is missing these days. We are not nurturing employees to develop anymore! We just want ready-made solutions that fit well with the organization goals and objectives! Is there any room for error anymore? The power of Talent: Are you a go-getter like P V Sindhu?